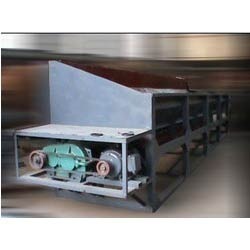 We are one of the leading manufacturers and exporters of Log Debarker Machines. Our range is precision engineered using quality raw materials and fabricated in accordance with the international standards. These are made available to our clients in varied specifications as per their requirements. We are engaged in offering our clients with a qualitative range of Log Debarker Machines also known as Rotary Log Stripping Machines. These are new generation wood stripping machines that have high efficiency. Our range is the result of the extensive research and manufactured using quality raw materials. These are widely used in pulp mills, paper mills, plywood industries, particle board industries, MDF industries and pure chip manufacturers. Moreover, our range is acclaimed by the clients for sturdy construction, wide adaptability, low consumption and high efficiency attributes. Looking for “Log Debarker Machine”?